Emperor Zhangzong of Jin (31 August 1168 – 29 December 1208), personal name Madage, sinicised name Wanyan Jing, was the sixth emperor of the Jurchen-led Jin dynasty, which ruled northern China between the 12th and 13th centuries. He reigned from 20 January 1189 to 29 December 1208. ^ a b c d e f Tao, p. 85-86 ^ a b c Franke, Herbert (1994). Denis C. Twitchett; Herbert Franke; John King Fairbank, eds. The Cambridge History of China: Volume 6, Alien Regimes and Border States, 710–1368. Cambridge University Press. pp. 246–249. Tao Jingshen. 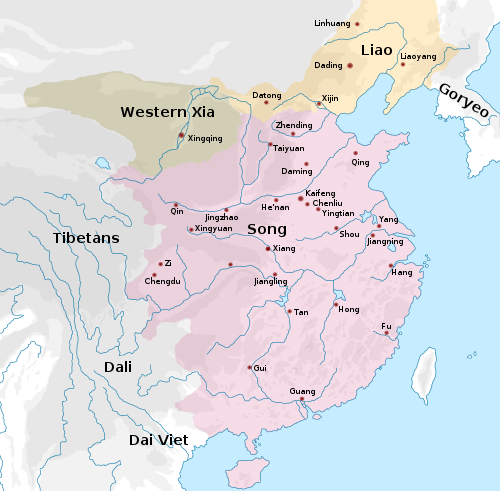 The Jurchen in Twelfth-Century China. Univ. of Washington Press, 1976. ISBN 0-295-95514-7. This Chinese royalty-related article is a stub. You can help by expanding it.